Fresno State students on their two-mile walk around campus to benefit the Bulldog Pantry in their "Will Walk for Food" event on Saturday, September 10th. This past Saturday, the 10th of September marked the first-ever running of the Will Walk for Food event, a fundraiser walk/run that was put on by the Bulldog Pantry. For those of you who aren’t familiar with this amazing organization, the Pantry is a student-run food bank where folks who are in need can go to receive food every week. The neighborhoods around Fresno State are home to a high level of poverty and there are many families who are simply unable to make ends meet. Thankfully, the Bulldog Pantry is there to lend a hand to those who need it. 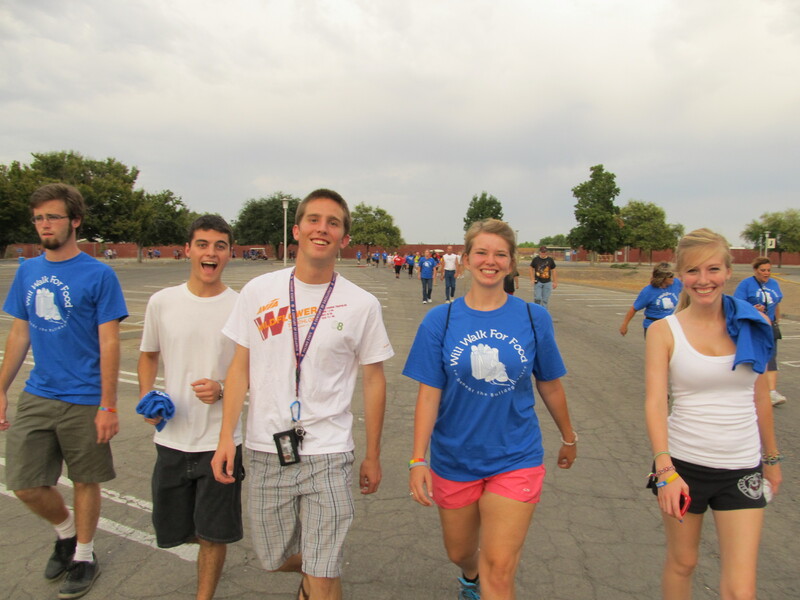 And the Will Walk for Food event went a long way to making sure that the Pantry can continue to operate. It was announced that over $3000 was raised, money that will be used to purchase food from the Community Food Bank at a discounted rate (basically, one dollar from the Pantry will purchase $8 worth of grocery store-priced food). This was such a fun event, too! There was a five-mile run and two-mile walk with about 50 participants in total. 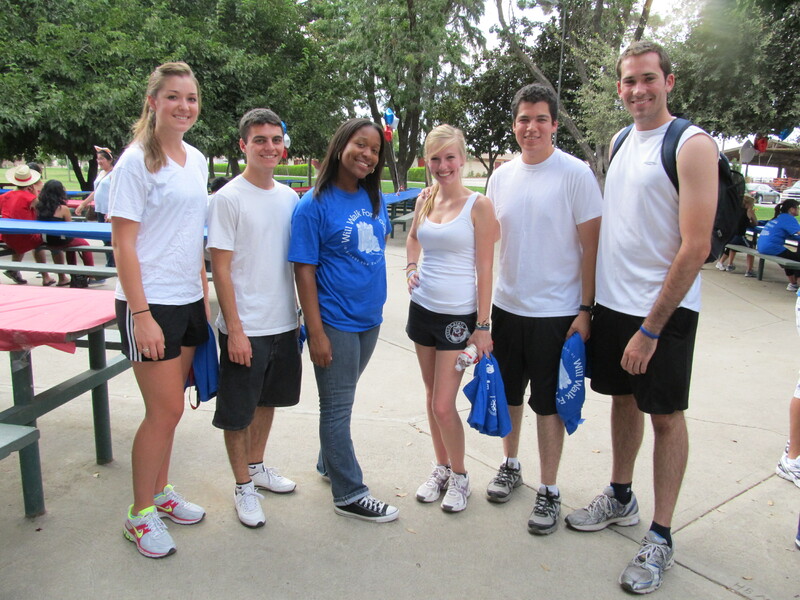 The Richter Center Ambassadors were there in force, having a great time and sporting an “Ambassadoreo” theme. After the run/walk finished, there was a delicious BBQ dinner and live performance by local band HR7. Overall, it was a great evening, raising money for an organization near and dear to my heart, and having a good time along the way. Your Richter Center "Ambassadoreos" gearing up for their trek across campus.